Survival seems all that Amari can hope for. But then an act of unimaginable cruelty provides her with an opportunity to escape, and with an indentured servant named Polly she flees to Fort Mose, Florida, in search of sanctuary at the Spanish colony. Can the illusive dream of freedom sustain Amari and Polly on their arduous journey, fraught with hardship and danger? Amari's life was once perfect. Engaged to the handsomest man in her tribe, adored by her family, and fortunate enough to live in a beautiful village, it never occurred to her that it could all be taken away in an instant. But that was what happened when her village was invaded by slave traders. Her family was brutally murdered as she was dragged away to a slave ship and sent to be sold in the Carolinas. There she was bought by a plantation owner and given to his son as a "birthday present." Now survival is all Amari can dream about. As she struggles to hold on to her memories, she also begins to learn English and make friends with a white indentured servant named Molly. When an opportunity to escape presents itself, Amari and Molly seize it, fleeing south to the Spanish colony in Florida at Fort Mose. Along the way, their strength is tested like never before as they struggle against hunger, cold, wild animals, hurricanes, and people eager to turn them in for reward money. The hope of a new life is all that keeps them going, but Florida feels so far away and sometimes Amari wonders how far hopes and dreams can really take her. 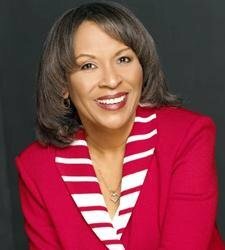 Sharon M. Draper, 1997 National Teacher of the Year, is an award-winning author and educator. 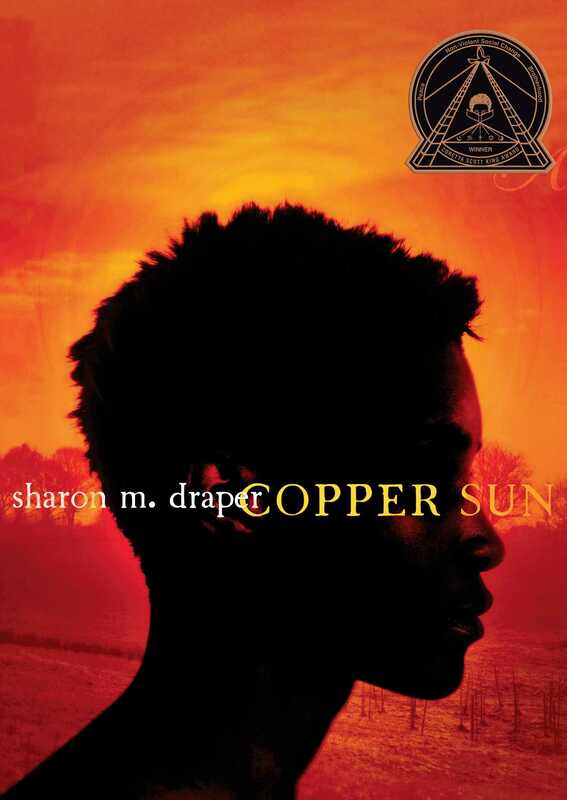 Her books for young adults include Tears of a Tiger, Forged by Fire (winner of the 1998 Coretta Scott King Award), Darkness Before Dawn, Romiette and Julio, Double Dutch, The Battle of Jericho (winner of the 2004 Coretta Scott King Honor Award), and Copper Sun, as well as the popular books for younger readers in the Ziggy and the Black Dinosaurs series. She has worked with teachers, students, schools, conferences, and educational organizations all over the world, spreading the word about the power of education and the magic of reading. Visit her Web site at www.sharondraper.com. 1. Copper Sun is a work of historical fiction. How does the blending of history and fiction make for a successful story? Which elements are purely fictional? Which elements are basically historical? Why does learning history through fiction make the story more memorable? How does this method of telling the story affect the reader's response? 2. The very first page, just before chapter one, tells of a slave sale and how it must feel to be fifteen years old, stripped naked, and standing on the auction block. Describe the feelings and fears of the girl being sold. What predictions can the reader make about the girl and the rest of the story? 3. As you first meet Amari, even though she lives in the Africa of two hundred years ago, how is she like many fifteen-year-old girls today? How is she different? What strengths do you find in her family and home life? What negatives do you observe? 4. How is the relationship between Besa and Amari similar to teen relationships today? How is it different? Describe how Amari feels about him. What predictions can you make about their future together? 5. Describe the relationship between Amari and her parents, and between Amari and her little brother, Kwasi. How does the strength of her family make a difference in her life? 6. What do you know of the village of Ziavi from the descriptions given in the text? How would you describe the social structure, family structure, and cultural structure of the community? How did the custom of graciousness to guests become a death sentence for the town? Explain why the Ashanti helped the European killers. 7. Besa's great skill and source of pleasure is his drum playing. The people of the village love music and singing and dancing and self-expression. Explore the importance of artistic influences on individuals as well as groups of people. How can self-expression be used as a tool for helping or healing? 8. Amari's parents are killed, along with most of the people in her village. How do you think you would react in the same situation? What options does Amari have? What option does Tirza choose and why? What option does Kwadzo choose and why? Why does Amari continue on? Describe what you think Amari is thinking as they are forced to walk across the countryside. 9. Describe the horrors of Cape Coast Castle, the Door of No Return, and the branding on the beach. How does Amari survive? What necessary survival techniques would you have to develop to survive those experiences? 10. Amari makes friends with people who help her survive, who give her the strength she needs at a crucial time in her life. Describe her relationship with Afi and explain the long- range and short-range influence of Afi on Amari's life. 11. Describe the Middle Passage as described in the novel. What is it about human beings that makes one person mistreat another? What is it about humans that makes us survive in spite of it? 12. Why do you think Bill decides to teach Amari English? What does this tell you about him? Why is learning the language a powerful tool for Amari? 13. Describe Amari's feelings as she is sold. What does she NOT know about her future that the reader probably does know? What would you have done in the same situation? 14. Discuss the character of Polly and how she comes across as we first meet her. What kind of life has she had? How does her past explain her attitudes? What advantages does Polly have in the society and in the story? 15. Discuss the first meeting between Polly and Amari. Why is this part of the story told from Polly's point of view? 16. How do Teenie and Tidbit and Hushpuppy add color and flavor to life on the plantation? What are their attitudes about being slaves? Give specific examples. 17. Discuss the character of Clay and his complicated feelings for Amari. Does he have any redeeming qualities, or is he purely a negative character? What about Clay's father? Does he have any redeeming qualities, or is he purely a negative character? 18. Explain the title of the novel. Why does the title have more than one possible interpretation? Find several examples of references to "copper sun" within the story. 19. Discuss the gradual development of the relationship between Polly and Amari. How is each girl unique? What are the strengths and weaknesses of each? What does each girl offer that the other needs? What makes a friendship? 20. How is Mrs. Derby almost like a slave herself? What predictions did you make about Mrs. Derby and Noah? What foreshadowing is given to prepare the reader for what happens? 21. Why would Mr. Derby be socially and legally justified by what he did to Noah and the baby? Why didn't Dr. Hoskins speak up? Why is tragedy more memorable and more powerful than happiness in a novel? 22. What was the overall effect of the gator bait scene? How do you think Tidbit felt when he was in the water? How do you think his mother felt? Amari tried to object, but endangered Tidbit by doing so. How do you think she felt? 23. Why didn't more slaves rise up and protest or fight back? What social and cultural pieces were in place to prevent it? 24. Discuss the argument between Amari and Polly over whether to go north or south. Why was it extremely unusual to choose a southern route? What does this show about Amari's personality? 25. On the journey we find out more about Polly's family and her background. How did Polly's parents and her relationship with them shape the person that Polly became? 26. Describe the difficulties of traveling by night, all alone, with no food and no real guarantee that the place you are heading to really exists. How would you have survived the trip? What seemed to be the most difficult for the travelers? 27. What does Amari learn about herself, her past, and her future through her reunion with Besa? 28. How do you think Amari, Polly, and Tidbit felt when they finally reached their destination? What was disappointing about the place when they finally saw it? What was reassuring? 29. What predictions can you make about Amari in the next five years? Will the three of them still be together or will Polly have gone off on her own? How has Amari grown and changed? 30. What did you learn about Africa, the Middle Passage, slavery, and African-American history that you did not know before? How has it changed your thinking, if any? 2. Minor characters are often very important in the development of a story. How do the following characters influence the journey of Amari, Polly, and Tidbit? How do they balance some of the horror that had previously happened? 3. Find a map of South Carolina, Georgia, and Florida and trace the route that the three travelers might have taken as they walked from Columbia, South Carolina, to St. Augustine, Florida. How long would the trip have taken if they had been able to go by boat? What if they had been able to go by car? 4. Research the history of slavery in the United States. Look up the Triangle Trade and find out why selling human beings was one of the most profitable business ventures available. 5. Write a letter to one of the characters in the book explaining your feelings about the events in the story. What advice would you give Amari, or Polly, or Mrs. Derby, or Teenie or Besa? What would you say to Clay? 7. In journal form, write the life of Mrs. Derby for several months. Include details about her inability to live her own life as she sees fit. 9. Write a biography of Clay Derby, focusing on his childhood. Include details about his mother, his father, his stepmother, and his thoughts while growing up or write a biography of Polly, focusing on her childhood. Include details about her mother, her father, and her thoughts while growing up. 10. All of Teenie's witticisms are authentic southern sayings. Look up the development of such sayings and how they reflect the culture of the south. Find out if the language patterns are racial or cultural in nature. • "Polly watched, fascinated, as the girl squirmed and screeched and babbled incoherently. Polly wondered if Negroes from Africa had feelings and intelligent thoughts, or if that gibberish they spoke was more like the screaming of monkeys or the barking of dogs...The young Master Derby carried a small whip, and he used it liberally to make Noah work faster. Polly noticed the slave breathed slowly and loudly, as if he were tense, but he made no attempt to stop the young man from hitting him. She was always amazed at how much abuse slaves took without it seeming to bother them. Perhaps they didn't feel pain the way others did -- she wasn't sure." Read the quote above and explain how the point of view of the character who makes the observation influences the description. What is slanted about the descriptions given? Why is personal observation not always fair and unbiased? Use examples from the book to support your statements. • "The first path they traveled was the long road that led from their village to the big river several miles away. It seemed as if even the trees bowed their heads as they passed. The birds, normally full of chatter, were silent as the group marched past them for the last time...The sunset that evening was unlike any Amari had ever seen. The spirit of the copper sun seemed to bleed for them as it glowed bright red against the deepening blue of the great water. It sank slowly, as if saying farewell. The shadows deepened and darkness covered the beach." Using the passage above as a guide, write a descriptive paper that uses sensory imagery. Use vivid verbs and powerful adjectives and adverbs as you write. Use as many of the senses as you can--sight, sound, smell, touch, taste -- as well as deep, rich colors. • "Before she had a chance to absorb it all, a man dragged her to what looked like a goat pen. A fire burned brightly in the center of it, even though the day was very warm, and the man was steering her toward it, Amari realized with fear. Was she going to be cooked and eaten now? Why couldn't she have died with her family? she thought wildly. Panicked, she tried to pull away from the man, but his grip only tightened." Write a narrative paper from the point of view of a slave who cannot speak the language of his captors and who does not understand what is going on or why. Tell their story as they try to grasp the enormity of what is happening to them. • 4a. "This be Fort Mose?" Amari asked, wanting to be absolutely sure they were in the right place. "Sure is, chile. Gracia Real de Santo Teresa de Mosé." "I done dream of this place," Amari said softly, "for very long time." Fort Mose was a real place. Even though it is now underwater off the coast of Florida, it really existed and it offered safe haven to runaways. Research as much as you can about the place and how it operated. Find out about the museums and historical locations that celebrate its existence. • 4b. "Huge doors opened and they were led inside. The bright sunlight was suddenly gone, and she had to adjust her eyes to the dismal gloom inside the structure. It smelled to her of blood and death. She could hear terrifying wails that seemed to be coming from the walls of the place." Cape Coast Castle is a real place. Its remains still stand on the coast of Ghana, West Africa. Look up all you can on the castle. Find out about the cells, the number of slaves kept there, and what happened to those who passed through those gates. • 4c. "Polly had never been this far from the big house. She had heard of the rice fields, but she stood amazed at what she saw. Two dozen black men and women, knee-deep in thick mud, bent over the delicate-looking rice plants. There was no shade anywhere, and Polly could see thick rivulets of sweat running down their faces. They moved slowly, joylessly." Rice played an important role in the lives of the people on the plantation. Research the development of the rice crop in South Carolina and how it increased the need for slavery. Explain why it was necessary to bring in a rice crop. • "Amari shuffled in the dirt as she was led into the yard and up onto a slightly raised wooden table, which she realized gave the people in the yard a perfect view of the women who were to be sold. She looked at the faces in the sea of pink-skinned people who stood around pointing to them and jabbering in their language as each of the slaves was described. She looked for pity or even understanding, but found nothing but cool stares. They looked at her as if she were a cow for sale." • "I think we have arrived in a backwards world -- where black skins are few and not respected, and pale skins seem to rule," Amari commented quietly. • "Polly looked back at the slave sale. The women were wailing and acting as if something terrible was happening to them. Polly snorted and turned away. Living here in the colonies had to be better than living like a savage in the jungle. They ought to be grateful, she thought. She thought of the Negroes she'd known as a child -- well-fed and happy slaves, with no worries about finding employment. No, she had no sympathy." Write a paper that compares the subject of slavery from the slaves' points of view to slavery from the point of view of the dominant culture. • "'So why should I endure this? Why did you not let me just die in there?' Amari cried out. 'Because I see a power in you.' Afi lifted her shackled wrist and reached over to touch Amari. 'You know, certain people are chosen to survive. I don't know why, but you are one of those who must remember the past and tell those yet unborn.'" • "Teenie touched Amari gently on her head, 'You got a strong spirit, Myna.' Amari just shrugged. She could see no reason for having such a strong spirit, nor could she see any hope in her future. She just survived each day. However, she couldn't help but think of Afi, who kept her alive during the horrors of the voyage to this place by telling her the same thing." • All human beings are given strong spirits in order to withstand the difficulties of life. • Only certain individuals are given the strength of spirit needed to endure the difficulties of life. • Certain individuals are chosen to survive to tell of the past to the next generation. Whether you agree or disagree, your paper should address only one side of the issue. Use specific examples from the novel to support your points. Write a character sketch of Tidbit -- what made him unique -- his personality, his charm, his love of life. Use specific examples from the book to illustrate your points. • "Polly pulled a leaf from an oak tree. 'Freedom is a delicate idea -- like a pretty leaf in the air -- it's hard to catch, and may not be what you thought when you get it," she observed quietly. • "'Freedom not big. Freedom not pretty, Amari declared.' 'But freedom sure do feel good.'" 1. A student recently said, "I don't care about slavery. That happened a long time ago, and I don't want to think about it in my life today. It is no longer important." What do you think about that statement? Tell why you agree or disagree. What would you tell that student if you had the chance to have a conversation? 2. Students in the United States enjoy lots of freedom. List some of the freedoms that you enjoy. Were these privileges always available to everyone? What might someone have had to do in order to make sure you have these freedoms? How does that make you feel about the privileges you enjoy? 3. Think back to when you were born. From that time to today is your history, and it is important. You learned, you made mistakes, and you grew. Discuss the importance of knowing your own personal history. Why is it important to study historical information about a country or a people? Why can't the past simply be ignored? 4. What happens if a rule or a law or a practice in a country is immoral or wrong? Who decides if it is right or wrong? What is done to change that law or rule or practice? How does one decide what to do? 5. Slavery was a period of extreme degradation of one group of people by another. What do you think were the short-term and long-term effects of slavery on both groups? 6. Discuss the destruction of slave families as people were bought and sold with no regard to their family structure. When slavery ended, what was the long-range result of this family destruction? 7. Estimate how many people were sold as slaves inside the United States between 1700 and the end of the Civil War. What was the long-term result? 8. Research advertisements for the sale of slaves during the internal slave trade. Analyze their impact on slaves. 9. Explain how slavery was an integral force in the shaping of American history. 10. The Emancipation Proclamation ended slavery, but did it end discrimination? Discuss discrimination as it exists in our world today. "A searing work of historical fiction."